Join in the fun and stand to win Tickets to her Concert! of her fifth studio album, Malaysian fans will brace themselves for Avril’s signature powerful performance with her The Avril Lavigne Tour Live in Kuala Lumpur 2014, at Stadium Merdeka on 14 March, 2014.
prizes and promotions will be offered and given away to celebrate this tour. by Malaysia Major Events, a division of Malaysia Convention and Exhibition Bureau, an agency under Ministry of Tourism and Culture, Malaysia and is part of the promotional program for Visit Malaysia Year 2014.
win Avril Lavigne concert tickets. 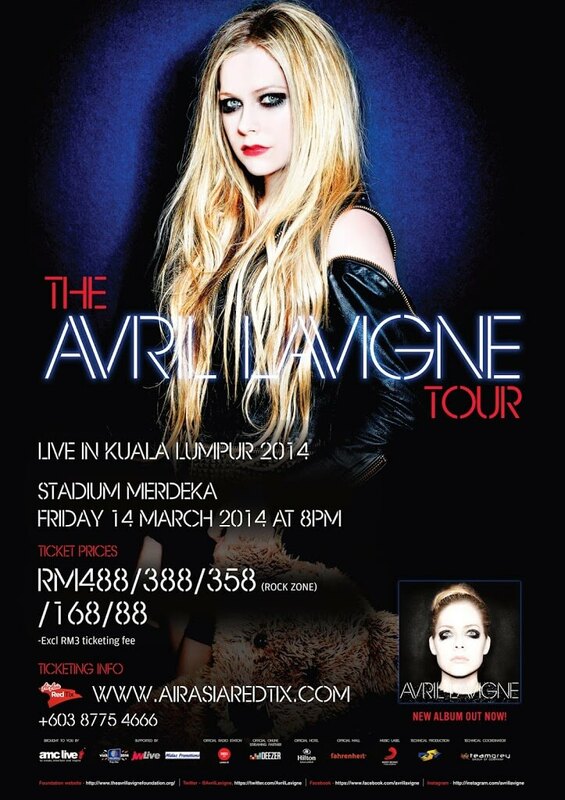 You can be of any age group, join in the fun and see Avril Live on March 14, 2014 at Stadium Merdeka! 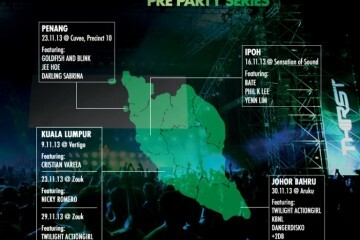 Tickets are on sale at www.airasiaredtix.com.